The trick of the most sparkling parties of the year must be sparkling! 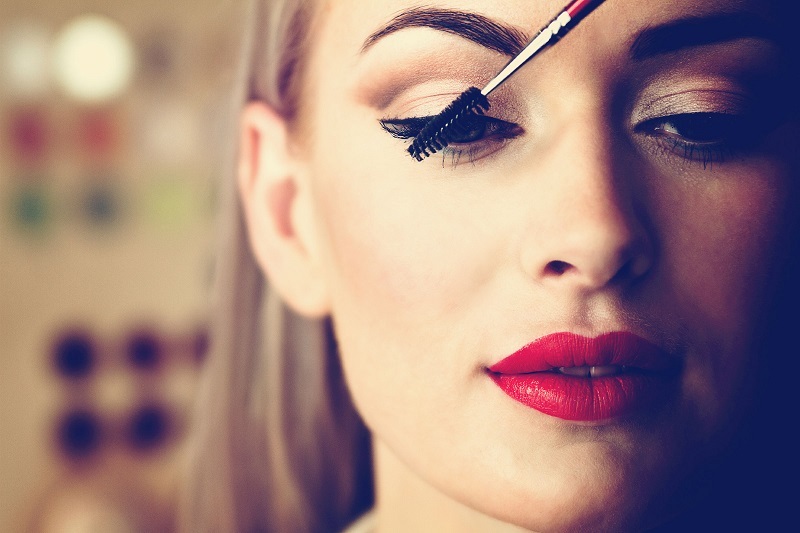 From the make-up artist, here are the tips to make in a few moves a make-up that immediately makes party! Glittery eyeshadow, eyeliner, intense lipsticks and very shiny gloss: These ‘tools of the trade’ cannot be renounced to make a festive make-up. The base is the most important stage of makeup, because the skin must be smooth, luminous and without imperfections. And it must never be too ‘heavy’, because it knows fake and because, with the passing of the hours (the dinner is long! ), It could give a greasy appearance. “We start with a foundation with a fluid texture, to be applied with the fingertips to blend it better”, recommends the make-up artist. To ensure a long-lasting ‘mat’ effect, a powder veil of transparent powder is passed over and the cheeks are colored with a pink or peach-colored blush or with an amber-colored ground, taking small quantities of product with a brush and blending them with ‘8’ movements, for a soft and not ‘sculpted’ effect. To give a touch of brilliance, small amounts of an illuminating product can be tapped on the face and décolleté”. To make up your eyes, you need a few products but just: on the entire eyelid and on the inside corner, on the sides of the nose, a white or golden glittery creamy eye shadow is applied with the fingertips, which gives a very luminous wet effect. To emphasize the outline, a ‘guide’ on the upper palpebral fissure is outlined with a black pencil, then it is lightly blended with a pencil stroke or a brush and only at this point is the line defined with a brown eye liner (compared to black gives a warmer and feminine effect), slightly thickening the line from the middle of the eye to the outer corner. How do you instead stretch the eye without creating ‘quotes’? “Just use a little trick” suggests the make-up artist: “With a well-sharpened pencil, starting from the outer corner of the eye, first draw a small dash imagining that you want to prolong the lower eyelid line, then, using this ‘guideline’, we close the eye and join the line with the eye liner”. The mascara is the inevitable final touch: first black and then, just on the tips, a mascara with small rhinestones. Do not forget the eyebrows that, especially when making a sophisticated make-up like that of parties, must be treated and well defined. Maintaining the natural shape, we fill the less dense spaces with a specific eyebrow pencil (it has a predominantly gray pigmentation that matches the color of the eyebrows) and we make the result more trendy by applying small touches of glitter mascara”. The must color of Christmas is red, but, following the trends of the season, burgundy, cyclamen, plum, perhaps enriched with micro golden flecks that give a sparkling result will be OK.
“To give greater volume and prominence to the lips, we draw the outline with a pencil of a slightly darker shade on the outer parts, fade it with a brush, then apply a shade combined with the lipstick for the central area”. Finally, a touch of transparent glitter gloss and you’re done! For nails, a red or burgundy red enamel will be perfect and, as a top coat, a transparent enamel with micro strass. 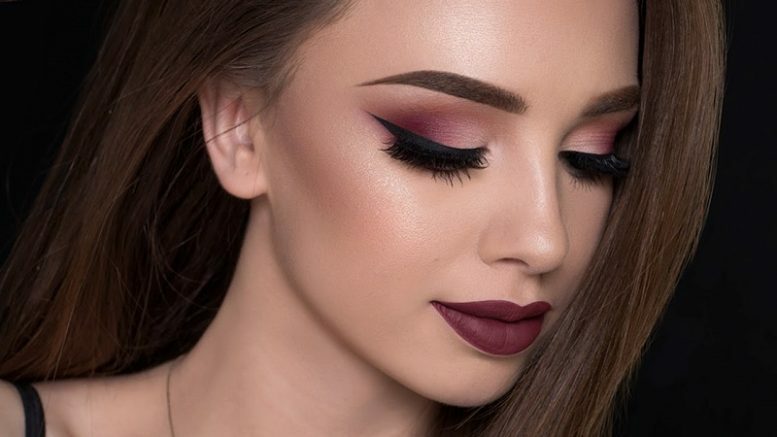 Be the first to comment on "How to wear make-up for Christmas and New Year’s parties"